Bidi Bidi in Northern Uganda was mostly sparsely populated grassland in July. A few family homesteads were clustered here and there. 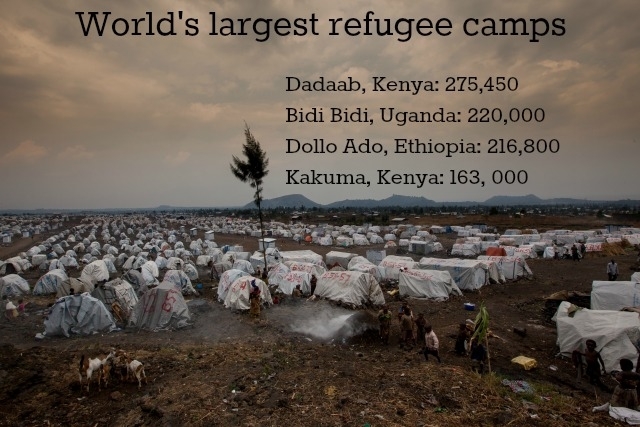 Now, it’s the second largest refugee camp in the world, home to 220,000 people. Bidi Bidi hosts people fleeing South Sudan’s latest spasm of violence. Clashes in Juba 8 July sparked a collapse in the troubled state’s fragile peace. Government forces chased opposition fighters through the country. They spread war as they went. People fled in the wake of the mayhem. Bidi Bidi has become home to 220,000 people fleeing South Sudan’s latest spasm of violence. 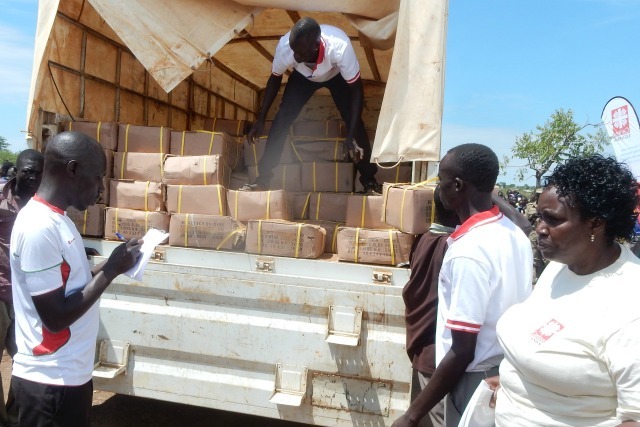 More than 44,000 South Sudanese refugees arrived in Uganda in the first half of November. This brings total since July to 340,000 people. Bidi Bidi has received more refugees in 3 months than Greece received in the first 10 months of 2016. “Malnutrition among the refugees remains high, particularly severe acute malnutrition, visible mainly among children below five”, said Godfrey Onentho, Caritas Uganda project coordinator for refugees in Bidi Bidi. Caritas Uganda launched an appeal for assistance. With the Swiss government, they mobilised enough funds to support 20,000 refugees within weeks. Meanwhile, the Ugandan government asked Caritas to look after 42,000 refugees in Bidi Bidi’s “Zone 2”. “It was the most effective response in my 22 years at Caritas,” said Msgr Francis Ndamira. “Things have never moved so quickly. This time it was really effective.” He says that streamlining rapid response procedures by Caritas Internationalis made the difference. “The templates were simple for our staff to use and we got an immediate response from partners,” he said. The Caritas refugee response began in October with a large seeds and tools distribution. Within days volunteers helped to distribute 10,000 hand tools and 10 tonnes of vegetable seeds. These allow the refugees to grow pulses and vegetables to improve their diet. “The area is fertile, but the refugees do not have the farming implements and inputs for planting. Caritas is planning for an intermediary response to provide targeted households with knowledge, skills and farming implements to produce food for themselves,” said Godfrey Onentho. The land put aside by the Ugandan government to host the new refugees has been quickly filled. More land is being made available. Still, those running services for refugees are overwhelmed. Some refugees are living with no shelter or crowded into small shelters with other families. Access to food and water is a daily struggle. The Caritas refugee response began in October with a large seeds and tools distribution. Within days volunteers helped to distribute 10,000 hand tools and 10 tonnes of vegetable seeds to allow the refugees to grow pulses and vegetables so they can improve their diet. “What Caritas provided at harvest time, we will see the results in the food from gardens the refugees are tending,” said Msgr Ndamira. “This distribution was the first activity in a 12 month programme that will bring back dignity and self-reliance for the refugees”. Caritas will also provide them with sanitary pads and mosquito nets. To allow the refugees to make maximum use of their time, the programme will also take 420 refugee youths for free vocational and agronomy trainings in regional technical institutes. Caritas is not only looking at their current situation in Uganda, but we also want to make sure that they are fully ready for resettlement once the situation in their home country stabilises. The lands on which the refugees have settled belongs to the Ugandan host communities. 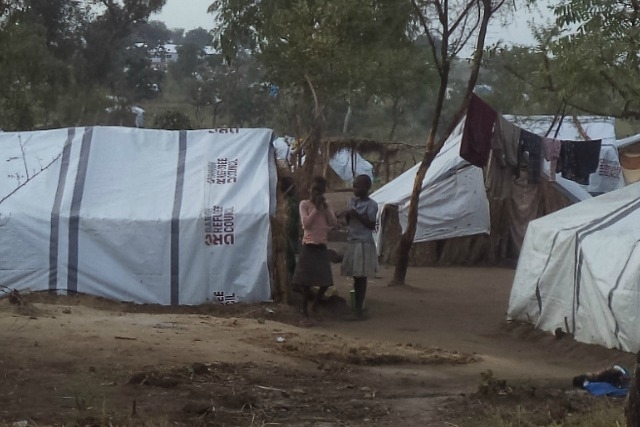 Caritas Uganda will also support 4,000 vulnerable Ugandans living around the camps. They will get similar support as the refugees. Caritas will also embark on a massive tree planting campaign in order to compensate for the deforestation the camp has caused. More needs to be done. There is no indication that the influx of refugees to Uganda will slow down soon.